Viewing the remains of the pier after the fire of October, 2010, I was certain that it would be impossible to restore and re-open it. It was in a terrible state. 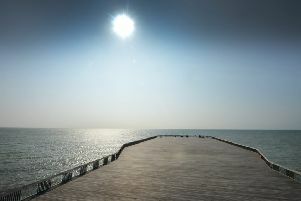 Today, I have just returned from my first visit on to the renovated pier and it looked absolutely amazing. The views of Hastings from the end of the pier were fantastic and the open spaces have the potential to be used in many different ways. The visitor centre building is eye-catching and unique. A huge well done to all the people in Hastings who worked so hard to rescue the pier – you have done a brilliant job.